MIDCOAST, Maine - A cruise aboard a Maine windjammer gives guests a different vantage point for viewing the familiar rocky coast of Maine. 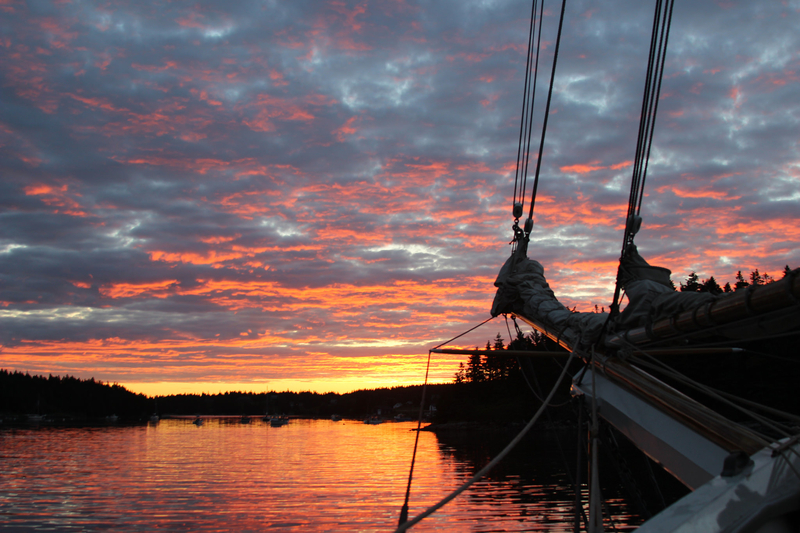 With 360-degree views, guests have the ability to watch lobstermen pull traps into their boats, view wildlife in its natural habitat, and see a national treasure, Acadia National Park, all while sailing quietly on the deck of a windjammer. Each Maine Windjammer Association captain serves as a personal tour guide, giving you the inside scoop on history, geology, who's who on the coast, famous homes of early rusticators, and coastal communities, and sharing anecdotes about life on the sea. While there is no itinerary when sailing aboard a windjammer, guests can plan on seeing plenty of wildlife and spectacular scenery before dropping anchor at the end of the day. There is no better place to view the more than 60 lighthouses dotting the Maine coast than from the deck of a windjammer. Each trip guarantees frequent sightings and several schooners have specialty cruises designed around Maine lighthouses. Each lighthouse cruise sails by a dozen or more on each trip; a few even have tour opportunities. A favorite guest excursion is a visit to the Burnt Coat Light Station on Hockamock Head. There are miles of trails surrounding the headland and guests can walk right up to the 143-year-old lighthouse. During the summer months, the eight-room Keeper's House is open to the public and features art and history exhibits. Maine has more than 4,000 islands dotting the coastline, and some of them have beautiful and secluded spots that are only accessible by small, shallow-draft vessels like the windjammers. Others are bustling year-round and are accessible by ferries or bridges. 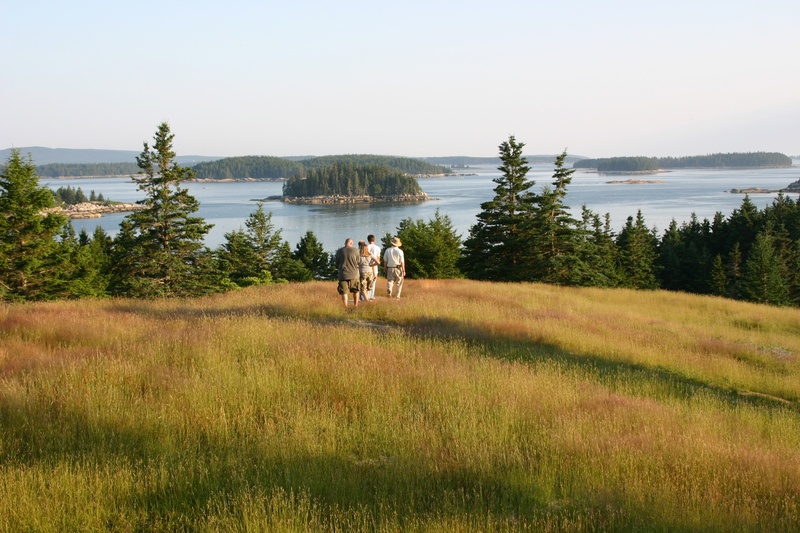 If you're looking to get off the beaten path and explore Maine's less accessible islands, a windjammer cruise is for you. Many of the captains know the islands that can be visited, which comes from years of experience and building relationships with private landowners. Hiking on Isle au Haut and Swans Island are some of the guests' favorite activities when exploring. Conservation is key for captains, as they encourage guests to practice the "Leave No Trace" code of conduct when visiting any island during their cruise. The views are incredible. Sunsets, sunrises, and the stars showcase the exquisite beauty of nature. Without a lot of light pollution, Maine is the perfect place to stargaze and guests have a front-row seat to view a multitude of stars blanketing the night skies. Cruises scheduled in late July and August will see some of the Perseid meteor showers and numerous shooting stars. The 2015 season runs from mid-May to mid-October and each windjammer carries 20 to 40 guests. For more information about seeing Maine from the sea aboard a Maine Windjammer Association vessel, visit www.SailMaineCoast.com.